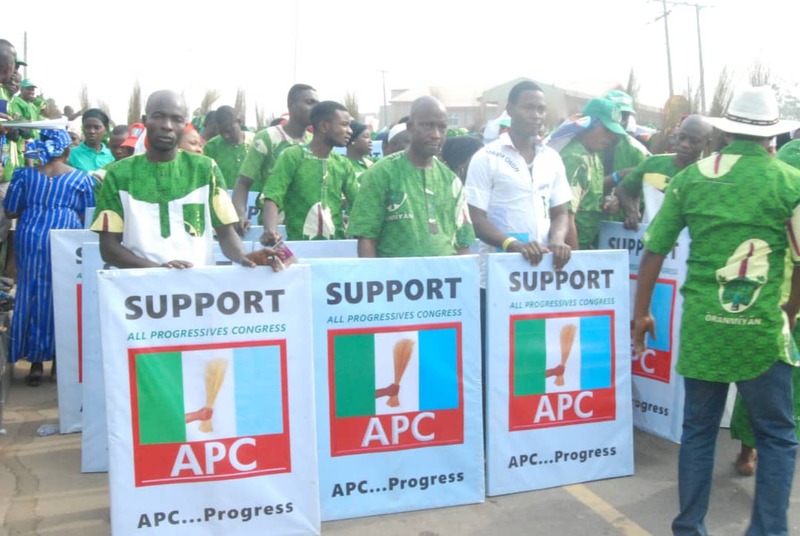 In a bid to ensure that the ruling All Progressives Congress (APC) coasts to victory at the forthcoming general elections, a sociopolitical organization in Osun state, Oranmiyan Group has commenced a tour throughout the thirty local government areas of the state canvassing for support and votes for APC. 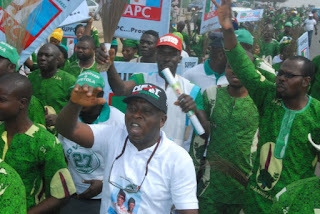 Addressing newsmen in Osogbo, the Director General of the group, Mr Olajide Sadiq disclosed that the rally was also organised to educate electorate on the dangers of selling their votes and how to make their votes count in the February 16 and March 2 elections. 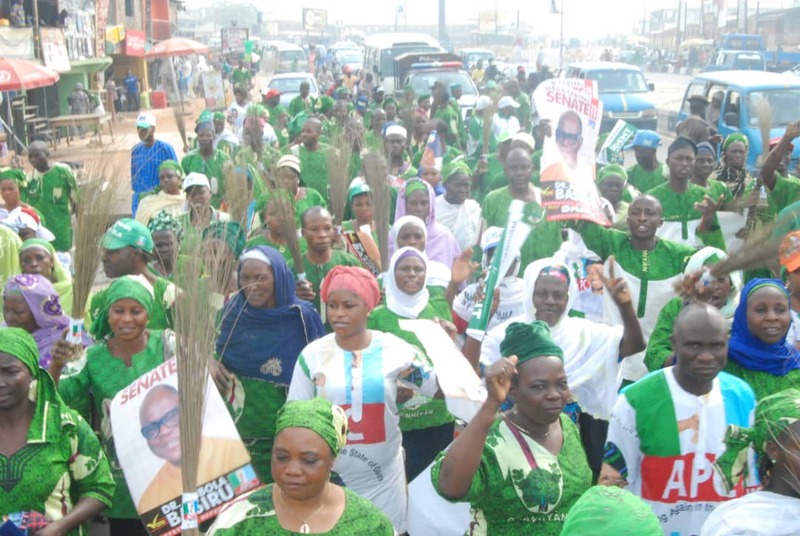 Sadiq said the group had already visited local government areas like Isokan, Irewole, Irepodun , Orolu , Ilesa East, Atakumosa East and West, Osogbo, Olorunda among others, adding that the reception has been encouraging. He assured that the remaining 12 local governments would be covered within the next forty eight hours. 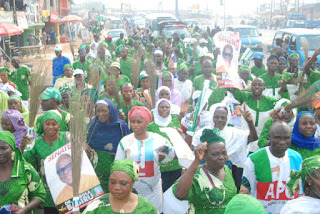 Addressing the mammoth crowd that gathered at Osogbo local government, Sadiq said, "Selling your votes is dangerous. At most you will be given a thousand naira which can't take you more than a week. That week will be entire thing you will be able to point at after the wrong person might have been elected for the entire four years of his administration. It is better to go to the poll vote for the candidates you know can bring about change in your country and constituency". 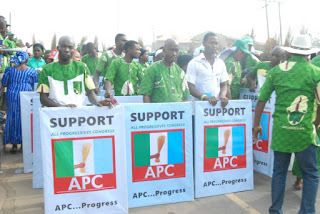 "The past four years the APC has brought in development in Nigeria and in states the APC is ruling. We have also used the medium to tell people of our antecedents. We told them how we have been providing basic infrastructure and other necessities of life for them". "We told them we intend to do more and because they know we are people of integrity they believe in whatever we say and they have assured us of their votes for the party's candidates as against the giving of money the opposition is doing," he said. He noted that the Peoples Democratic Party, PDP, that ruled the state for seven half years could not in anyway match up APC in terms of achievements. 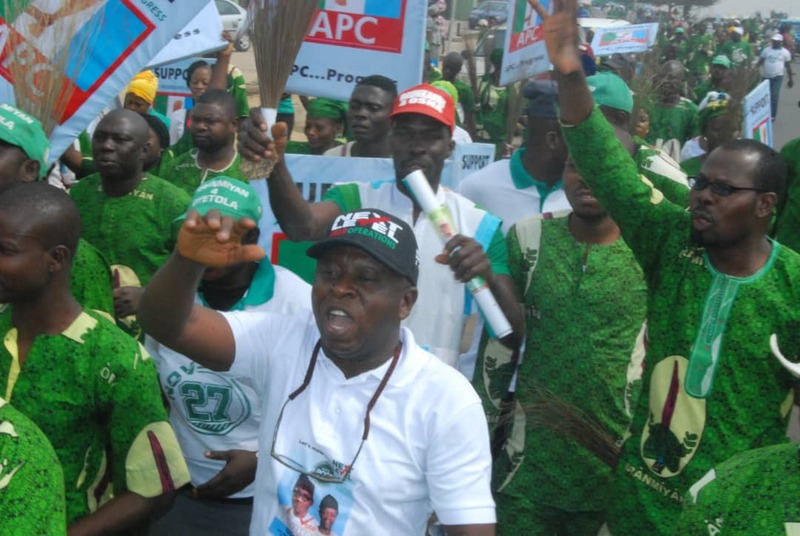 He expressed confidence that the APC would win the presidential election and all other elective positions in the state, saying that the quality of candidates produced by APC outweighs that of PDP.